The health system in Mali relies on community health workers to deliver essential services to rural populations, however, the program is almost completely dependent on donor funding, threatening its sustainability. To support a transition from external to domestic sources of funding, HP+ has been helping the Ministry of Health and Public Hygiene understand costs of and challenges to the community health worker program. Specifically, HP+ conducted a situational analysis, developed a workforce and funding mapping tool, and conducted a service costing and financial gap analysis. The results of these activities—summarized in this brief—were used to formulate phased recommendations for increased public expenditure for the community health worker program. Saint-Firmin, P., B. Diakite, S. Stratton, and C. Ortiz. 2018. 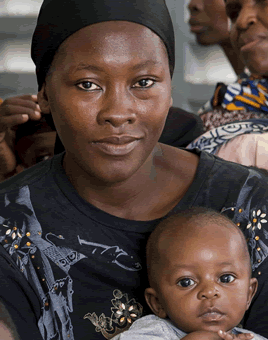 Community Health Worker Program in Mali Under Threat: Evidence to Drive Advocacy Efforts. Washington, DC: Palladium, Health Policy Plus. Saint-Firmin, P., B. Diakite, S. Stratton, and C. Ortiz. 2018. Menaces pesant sur le Programme d’Agents de Santé Communautaire au Mali: des Preuves pour Promouvoir les Efforts de Plaidoyer. Washington, DC: Palladium, Health Policy Plus.